It only takes one unexpected medical emergency to turn your personal finances upside down. 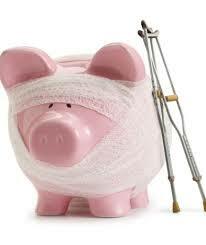 Did you know that unexpected medical bills are the cause of about 2 million bankruptcies a year? Even if you have health insurance, you may experience a condition that is not covered and could wind up costing your family everything. If you have a medical bill that is more than 90 days past due, it will likely be turned over to a collections agency, which is a major ding to your credit score. Even if you only have one overdue medical bill sent to a collections agency, this can be a serious blow to your credit. 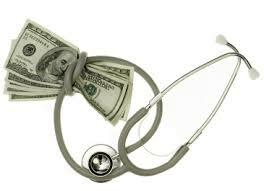 You may be surprised to find out that even if you have been paying small installments to your overall balance, the medical provider can still send your bill to a collections agency for any amount that is overdue. This is why it is so important to read all notices regarding your medical bills and to take any mention of a referral to a collections agency very seriously. 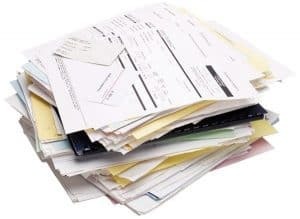 Another thing to keep in mind about managing your medical bills is that there is no excuse for confusion over the billing procedure or amount in order to prolong making your payments. Even if you have questions about your account or a dispute over the amount, you are still required to make the payments on time to avoid having the matter handed over to a collections agency. This is important to remember because once an account lands at a collections agency, it may stay on your credit report for as long as seven years after it has been paid off. Unfortunately, the process of having a medical debt removed is not as simple as paying your bill after it has gone to collections. The most effective way to make sure it does not affect your credit score is to pay it on time in the first place. If there is an error on your credit report with respect to a medical bill, you can report it to the major credit bureaus by sending a letter. Make sure to include all of the supporting information to have the error removed as quickly as possible. If you find yourself owing more debt than you think you could possibly pay off, then you may want to think about debt consolidation. This is a good option if you owe money to more than one medical provider or have other sources of debt in addition to medical bills. You may be able to qualify for a personal loan that would consolidate these amounts for easier management. 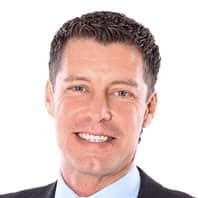 If you are unsure about the best way to proceed in your situation, it may be helpful for you to speak with a counselor from a debt relief program. Many companies offer credit counseling services to help consumers stay on track with their payments and avoid having to file for bankruptcy. When you are deciding whether to work with a debt relief counselor, you should make sure that you are aware of any charges you will incur from their services. If you are able to simply refinance your debt through a home equity line of credit, this may be a better option for you than paying a fee to have a credit counselor set up a debt management plan.